1. Add "Ships in 24 hours, Only in USA" label shoes to the shopping cart, it will automatically save. 2. 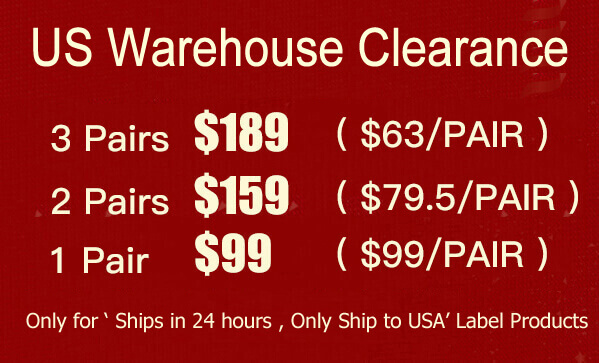 Exclusive Offer for US Area - Only for the items with label "Ships in 24 hours, Only in USA".